We opted for a second night at our Dubuque, Iowa hotel as we waited for wind and snow flurries to blow through the western part of the state. To fill our rainy day, we decided to follow the scenic Mississippi River drive outlined in our guidebook. It seemed simple enough, but wouldn’t you know it…another wrong turn led us 30 miles off course. At least there were no toll roads! As I studied the atlas in an effort to get us back on course, I realized we were close to the National Brewery Museum in Potosi, Wisconsin. Reg thought I was kidding. 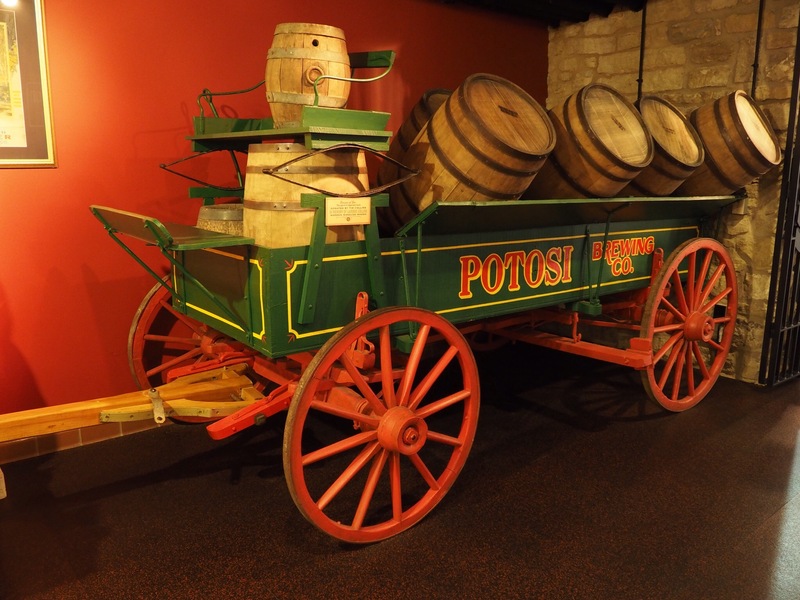 We learned beer was first brewed in Potosi in 1852. 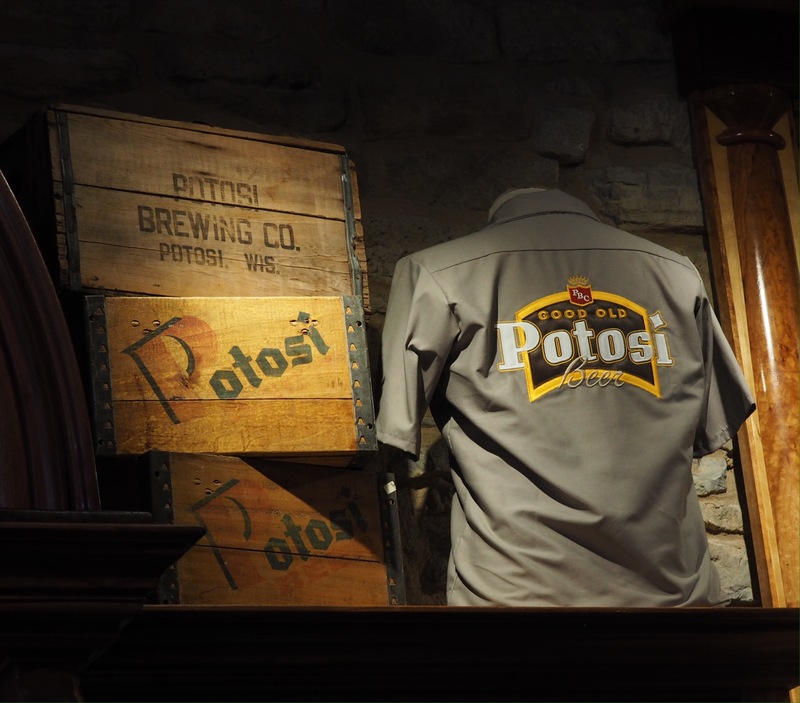 The Potosi Brewing Company was founded in 1906, ceasing operation in 1972. The Potosi Brewery was added to the U.S. National Register of Historic Places in 1980. In 2004, the American Breweriana Association chose the site as the home for its National Museum of Beer Advertising Memorabilia. In 2008, after a $7.5 million renovation, the museum and brew pub opened. The 2015 addition of their $5 million brewery allowed Petosi to finally bring all its beer back home again. I thought it was good. They make well over a dozen types. We bought a couple bottles to stash in our trailer fridge to share with you and Ken…if we ever get home!